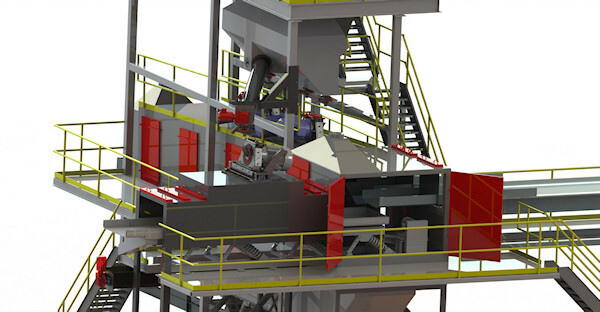 Rocker Barrel – The Blast Cleaning Technologies heavy duty design provides in-line blast cleaning with the ability to handle a wide range of production requirements for shot blasting. Blast Cleaning Technologies e-wheel technology: Features: Nucklesaver, M-3 Series Housing, Top Pivot Lid with M-Lok Design and EPACT 3600 RPM Motors with front seal system. Also see our complete offering of Tumble Blast Equipment. Visit our website under Tumble Blast Equipment. Rotor Drum Blast – Manufactured Designs for Special Shot Blasting Foundry Applications. Our designs have the ability to clean up to 1500 rotors (automotive/heavy truck) per hour.